One of the most important feature of the Max-Prop is that it feathers automatically with the forward momentum of the boat. 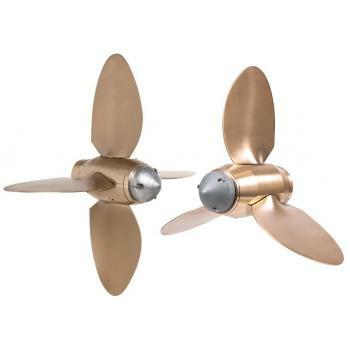 Once feathered, it provides the least possible drag (similar to a folding prop) improving the vessel's sailing speed by an average of 15% above a conventional fixed blade propeller. In reverse: the Max-Prop provides 80% more power than a comparable fixed blade propeller. 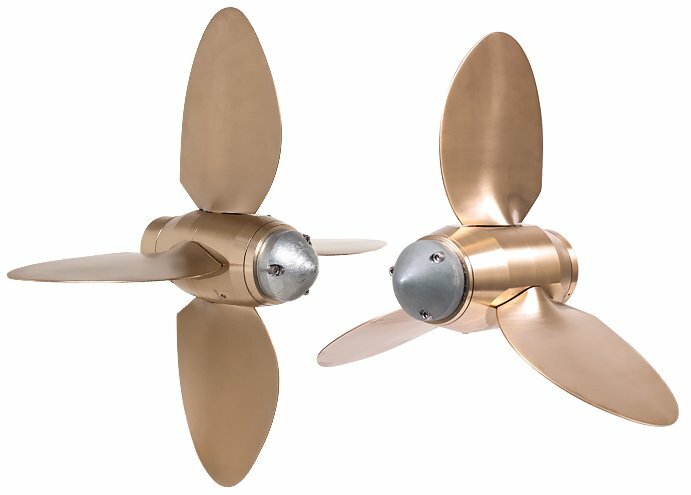 The Max-Prop utilizes the same leading edge in forward as it does in reverse giving the propeller the same thrust in both directions, whereas on a fixed blade propeller in reverse the trailing edge becomes the leading edge therefore reducing its efficiency by 50%.